Nothing makes more of an impact on your dating profile than your main image. You can have everything going for you -- great job, no kids, never married, and sporting an appropriate number of teeth -- and one bad shadow, receding hairline, or misplaced background can render you undateable with one swipe. And there's a science to all of this. 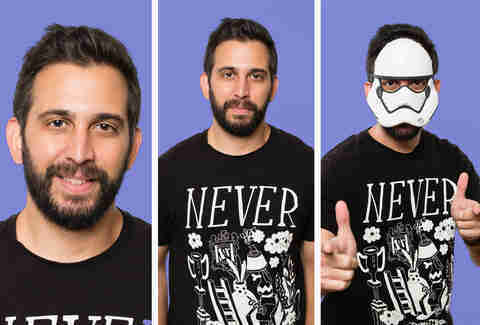 Researching profile photos has surfaced bizarre information, like the fact that the most popular guys show the left side of their faces and demonstrate pride. Or that the most-matched women appear happy and (perhaps unsurprisingly) show some skin. 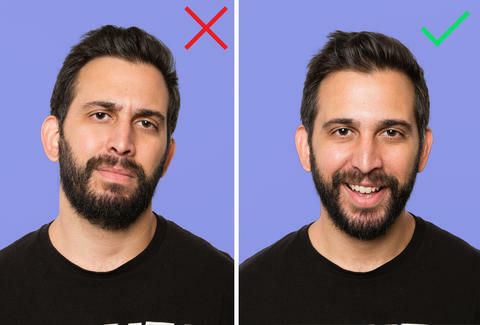 But aside from panned-out shots providing a sense of your real size and hiding the right side of your face, there are lots of little tricks you can use while actually taking the photo that can be the difference between a swipe left or right. For these, we reached out to two professionals in the field: Ann Maas, director of operations and photographer at LookBetterOnline.com; and Rob Greer, a professional photographer in Los Angeles. What is the first thing everyone should consider for their profile pics? Are the rules different for men and women? How much of a difference does it make if a photo is a selfie or taken by another person? How do you make someone look attractive, while ensuring they look like themselves? Are there settings that are more or less favorable? The background in your photo can impact people both positively and negatively, depending on your surroundings. For example, if the background of your photos is a private residence, then some viewers may judge your sense of style, taste, and level of success based on that information. Likewise, if you include profile photos that show you in exotic destinations, that will appeal to others who might like to travel. What's the Worst Age to Be a Single Woman? What about group shots of people? 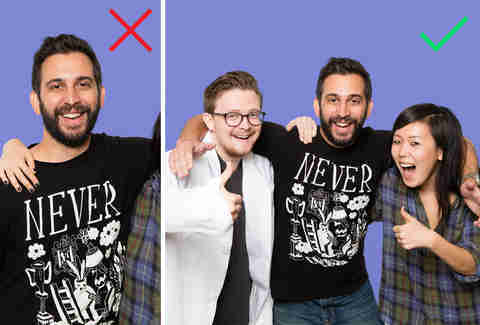 The problem with group shots is many times people will blur out someone (or scratch out their faces or put white boxes over them) -- why even bother? Or there are so many people in it, you are not sure who the person is. Another turnoff with group shots is if a guy is standing with his arms around a lot of women, the woman viewing his profile thinks he is just a player. Is he trying to say this is the type of women he wants to go out with? So if the woman looking at him doesn't think she looks like that, she will pass on him. Same goes for women surrounded by a lot of guys. I think that it’s fine to include one or two photos in your profile that show you interacting with groups of people. Those kinds of photographs can show that you have friends and a social life. However, you need to be careful of any mixed messages. If the photograph shows you in close contact with someone who might match the kind of person you’re looking to date, the viewer might jump to the conclusion that you’re showing photos of people you’ve dated previously. You can overcome that issue by adding a written description to your photo explaining that the person in question is just a friend. However, just remember that some online daters won’t read that far into your profile.